Linux which first made appearance in 1991 as a project by Linus Torvalds has now become a very popular operating system powering many desktops, netbooks, notebooks and super computers. Yes, you heard it right, Linux powers 10 super computers in the World. Linux currently is the most popular server operating systems and has got its more plus points compared to Windows servers. Take a look at Linux Wiki from the Wikipedia. 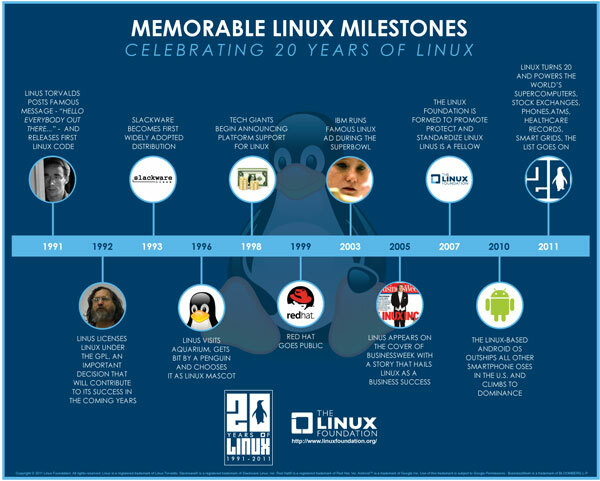 You can also visit The Linux Foundation from the link below and also know about Linux 20th anniversary celebration. Oh! Linux. I love it. Open source rocks.